YOU DID IT! 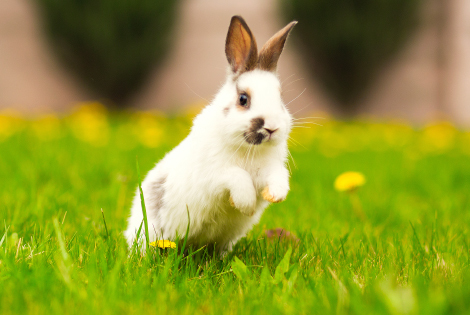 Natura confirms cruelty-free animal testing policy! Hundreds of Naturewatch Foundation supporters have written to Natura Cosméticos demanding the truth about the company’s animal testing policy. Cruelty-free shoppers wanted to know if Natura was hiding behind meaningless statements, or if it was truly committed to ending animal testing for cosmetics. Today we are pleased to let you know that, after months of asking, Natura representatives have spoken openly with Naturewatch Foundation and announced that they have implemented a Fixed Cut-Off Date animal testing policy. Their subsidiary brands, including Aesop and The Body Shop, also have Fixed Cut-Off Dates. A Fixed Cut-Off Date policy is the gold standard of cruelty-free policies. It is the policy that a genuinely cruelty-free company must apply in order to be endorsed by Naturewatch Foundation in our Compassionate Shopping Guide. The policy must apply across the parent company, and all subsidiary brands too. This is what makes our Compassionate Shopping Guide the strictest cruelty-free endorsement scheme in the world. We will never compromise on our duty to protect animals from cruel and unnecessary testing for the sake of profit. Natura has told us it has a Fixed Cut-Off Date of 11th March 2013. Natura’s representatives have confirmed that they understand this means their products, and those produced by subsidiary companies, will not contain any ingredients that have been tested on animals for cosmetic purposes anywhere in the world since their Fixed Cut-Off Date. Natura and its subsidiary brands, including Aesop and The Body Shop, choose not to sell in markets where animal testing is required for regulatory purposes, such as China. For this, we congratulate and thank them. We have invited Natura and its subsidiary brands, Aesop and The Body Shop, to become officially endorsed by Naturewatch Foundation as a cruelty-free company. The significance of this moment cannot be overstated. It will end our eleven years long boycott of The Body Shop, beginning when they were bought out by L’Oréal in 2006. As soon as their endorsement is finalised, we will let you hear about it. Animals don’t have a voice, but we do have a choice. An estimated 200,000 – 500,000 animals are still tested on for cosmetics worldwide every year. Compassionate consumers are key to ending animal testing. Because people are demanding transparency and strong animal testing policies, more and more companies are going cruelty-free. From day one, Naturewatch Foundation has regularly published the Compassionate Shopping Guide – the ‘shopping bible’ for cruelty-free consumers. We were the first organisation in the UK to publish a list of cruelty-free cosmetic and household brands. We knew that encouraging people to shop kindly was the secret to ending animal testing worldwide. And it’s working. Today we have endorsed 195 brands, and that number is growing quickly as more and more companies realise the importance of being genuinely cruelty-free. Thank you for being a part of this tremendous journey. Get your copy of the Compassionate Shopping Guide and help make history.